Lawrence University Kimberly-Clark Professor of Music and Director of Jazz Studies and Improvisational Music Fred Sturm died peacefully at his home in De Pere Sunday, Aug. 24 following a long and courageous battle with cancer. He was 63. Fred Sturm ’73 not only helped launch the jazz studies program at Lawrence, he served as its director for 26 years. An award-winning composer, nationally recognized jazz educator and beloved mentor to hundreds, if not thousands, of aspiring musicians, Sturm graduated from Lawrence in 1973. He returned to his alma mater four years later and spent 26 years as a member of the conservatory of music faculty spanning two different teaching stints (1977-91; 2002-14). In between, he taught at the Eastman School of Music in Rochester, N.Y., where he was the chair of the jazz studies and contemporary media department. Sturm, who wrote his first jazz arrangement as a senior at Oconomowoc High School in 1969, was instrumental in creating Lawrence’s jazz studies program in the early 1970s while still a student. As a 19-year-old sophomore, Sturm formed the Lawrence conservatory of music’s first-ever jazz ensemble, which in turn became a catalyst for the creation of the jazz studies department. 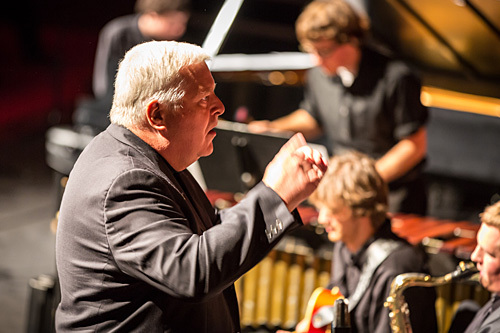 During his 37-year teaching career, the student jazz ensembles Sturm directed were recognized with nine Downbeat awards, widely considered among the highest music honors in the field of jazz education. Renowned for his enthusiastic, generous spirit, infectious passion for all things music and great sense of humor, Sturm devoted his life to helping music students hone their skills, traveling far and near to lead clinics or serve as composer-in-residence for school and university music programs. He also was a founding member of the jazz nonet Matrix. Sturm was the driving force behind the creation of Jazz Weekend in 1980, a two-day celebration each November that brought professional jazz artists and leading jazz educators to the Lawrence campus for a 100 percent non-competitive jazz education festival. 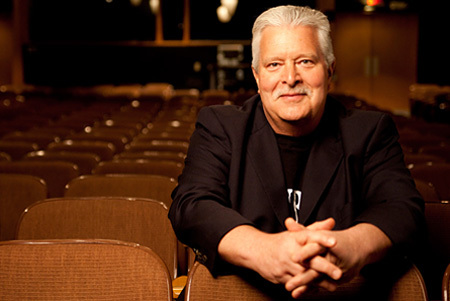 Sturm designed the program to serve as an inspirational jump-start for hundreds of high school students and jazz groups, promoting improvisation as a primary focus. During its 33-year history, the festival brought many of jazz’s biggest names to campus, including Bobby McFerrin, Art Blakey, Dizzy Gillespie, Diane Schuur, Wayne Shorter, Diana Krall, Branford Marsalis and Kurt Elling, among others. Jazz ensembles conducted by Fred Sturm won nine Downbeat awards for outstanding performance during his 37-year teaching career at Lawrence and Eastman School of Music. Sturm’s long list of honors and awards include a 1997 Grammy Award nomination, the 2003 ASCAP/IAJE Commission In Honor of Quincy Jones, a prize granted annually to one established jazz composer of international prominence and Lawrence’s own Award for Excellence in Teaching in 2005. Additionally, he was the recipient of grants from the National Endowment for the Arts, the National Academy of Recording Arts and Sciences and the Howard Hanson Institute for American Music, among others. During his career, he served as guest conductor/composer/arranger for professional jazz ensembles and radio orchestras in Germany, Italy, Denmark, Sweden, Scotland and Norway. Among his many ambitious projects was the 2010 Radiohead Jazz Project, which featured special arrangements of select Radiohead songs. Sturm coordinated the writers, developed project funding and produced the Lawrence University Jazz Ensemble studio recordings with engineer Larry Darling. The internationally renowned HR Big Band of Frankfurt performed the Radiohead Project in 2011 in Germany and numerous American universities and high schools have subsequently showcased the RJP repertoire in concert. Another project of which he was especially fond was “Migrations: One World, Many Musics,” a concert suite inspired by indigenous music from 21 countries. It was premiered by vocalist Bobby McFerrin and the NDR Big Band in Germany in 2007 and toured Europe the following summer. A native of suburban Chicago, Sturm’s love of baseball, especially the Cubs, was second only to his love of music. Both were intrinsically intertwined throughout his life. Of all of his musical endeavors, none was closer to his heart than the Baseball Music Project, a tour de force that was part symphony concert, part musical American history lesson and part traveling exhibition. The project was inspired in large part by a baseball-themed composition he wrote in 1994 entitled “A Place Where it Would Always Be Spring.” An updated version of that work — “Forever Spring” — served as the centerpiece of the touring Baseball Music Project, which has been performed regularly since 2005 by American orchestras around the country under the auspices of the Baseball Hall of Fame. After earning a bachelor of music degree in music education from Lawrence, Sturm studied at North Texas State University and the Eastman School of Music. He is survived by his wife, Susan, De Pere, and two children, Ike, Croton-on-Hudson, N.Y., and Madeline, New York, N.Y.
A private memorial service will be held this week at Bjorklunden. A memorial celebrating Sturm’s life will be held at Lawrence on a date to be determined. Feel free to share your favorite memories of Fred.